Let me help you! 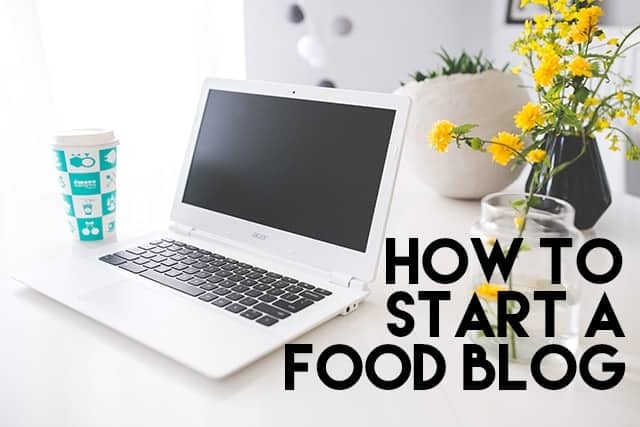 Here’s my knowledge on how to start a food blog! This is one of the most crucial points of starting your blog. Think long and hard on what your niche will be and a name that fits you and your brand. Do you want to do all variety of recipes? Just desserts like myself? Vegan or Gluten free? Just soups? What makes your heart throb? After you have pinpointed your niche, pick a name that’s fitting. You may want to go with something catchy. They recommend going with a short name, but I’m a rule breaker. Bluehost is a recommended starter host. You can get a FREE domain name (www.yourblogname.com) and they are budget friendly. Bluehost is just an all around great place to start your blog. I’m currently with RFE Hosting and could not be happier. The tech man, Aaron, is quick to answer any questions. He saved the day for me more than once and customer service like that is hard to find especially with web hosting. The hosting is reasonably priced especially for the help that you receive. My last host couldn’t handle my website anymore due to its size and traffic without a huge upgrade fee, and RFE Hosting took me in no problem. Log onto your new host and get into the control panel. Install the WordPress program. This is a necessity for the blogging world and it’s completely free! Now that you have WordPress installed, get yourself a cute WordPress theme. There are free themes and paid themes. The choice is yours. Here are some cute themes to check out. I use the Foodie Pro Theme by Shay Bocks. It runs on genesis which you will also need to install. She offers a package deal. I love how clean it is and perfect for the food blog. It comes with the easy recipe plug-in, and a simple but super useful recipe index. It’s easy to customize. Shay has some tutorials and so does the Minimalist Baker. Akismet – This plug-in will sort the spam comments. Trust me, you’ll get many, many spam comments. Be sure to delete the spam comments to keep your site from slowing down. Yoast SEO – This is a little form that appears at the bottom of your posts in the editor. This is crucial to get your site in search results. It will give you a green light when you’ve optimized your post to its fullest. Easy Recipe – This is the plug-in to have to write your recipes out. It can be customized and has a print button. This particular plug-in adds tags and such to make it easier for Google to understand. I use the Plus version of Easy Recipe. 5. Join niche groups on Facebook. Use that search bar and start looking up food blog groups for social sharing. This is the step I wish I would have known a lot sooner than I did. It does take some time, but it will boost your traffic and help you make foodie friends. Pinterest – Since Pinterest is a big hitter for food bloggers, I have a ton of schedulers that I use. Board Booster – My favorite scheduler for Pinterest. You can easily set up times that you want pins to go live on your boards or group boards. It’s incredibly simple to schedule pins even from a phone which I often like to do. It’s the cheapest scheduler that I’ve found so far. Board Booster has campaigns that can be set up to schedule posts on specific days to a group of boards that you’ve set up with specific times to go live. You pin your pin to a single secret board and the campaign does the rest. Ahalogy – I use Ahalogy mostly to pin popular pins. This is also a nice scheduler and it will automatically schedules pins out for the best time to get repins for you. You can also manually set a time if that floats your boat. Ahalogy will also let you know what words to include in your description to get your pins found. Tailwind – The scheduler with the best statistics/insights. We’re talking most followed boards, trending pins, pin inspector, peak days and times and so much more. Try the trial. You’ll love it and it will step up your game. Coschedule – My favorite scheduler to schedule out all my posts as I finish them. You can schedule to Facebook page, profile, any groups you’re an admin in, Twitter, LinkedIn, Tumblr, and Google+ Page. This takes a load off. No more trying to remember to share your post all over the place, it’s done. Less time spent scheduling everything out. Buffer or Hootsuite – I love Buffer mostly for sharing other bloggers posts. I use the paid version of Buffer that allows you to schedule 100 posts. You can post to Twitter, Facebook pages, profile and groups you’re an admin of, LinkedIn, Google+ Page and Pinterest. I have the bookmark on my browser to let me simply hit the buffer button and set it up to be posted. Latergram – This allows you to schedule out Instagram posts. I always use it to schedule my posts at night because I’m incredibly forgetful. It also saves me time from saving my post photos to dropbox and then uploading it on Instagram with my phone. MailChimp – It’s a must to have your readers sign up for your emails. It’s the direct way to get them to keep coming back to your site and checking out new recipes. If they love you and your recipes, they will subscribe just to be in the loop. I love Mailchimp. It has tons of options as you’re setting it up. It does take a little time to set up. The best part is that Mailchimp is free for the first 2000 subscribers and 12,000 emails. 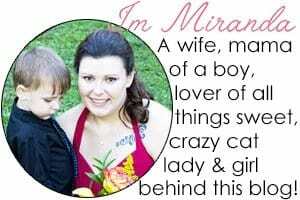 There’s also aweber and Mad Mimi as options. Foodie Pro Theme has a nice newsletter set-up that I highly recommend. It’s crucial to start trying your best with your photography. With all the sites that depend on beautiful food photos, you have to give it your best and step up your game.
. I would love to eventually upgrade to the Canon EOS 6D and Canon EF 100mm f/2.8 Macro USM Fixed Lens. That will take some saving up to do, but I plan on getting them within the next year. My husband thinks I’m crazy for wanting to upgrade my camera. I shop at the local consignment shop, Salvation Army and thrift stores to get my props. I also make the occasional trip to Home Goods and pick up odds and ends at Walmart. To deflect the light, I use white foam boards that can be bought at Walmart. I also have a couple smaller boards wrapped in tin foil to light up some extra dark shadows. It works amazing. To edit my photos, I use Adobe Lightroom and Photoshop. I pay $10 each month to use them with the Adobe creative cloud photography plan. It takes some time to learn when the programs do, but they are life savers. Here are some good reads on bettering your food photography.